The weird noises from the toilet and the sewage backing up in shower are signs of a septic tank going bad. These are just a few signs of the many that all highlight that something is terribly wrong with your septic tank and it needs to be addressed ASAP. So how do you address it? Well, by finding a Mukilteo Septic Repair company. Luckily for you, residing in the Mukilteo area means you have access to the best septic repair company one can find, Superior Septic Services. We are a high-quality repair company that will not overcharge you on septic repairs unlike other companies that you may find on online directories that hike up their prices as the job goes along. 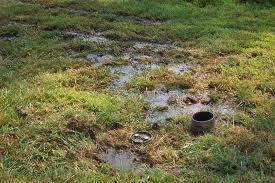 You may also find companies that work sloppy and are not fully equipped to handle large septic repairs. But not with Superior Septic Services! Our technicians are highly trained with thorough experience in the septic industry and our customer service agents are supreme to others in Mukilteo. As such, you will be getting only the best when you choose to hire our repair technicians at Superior Septic Services. As we mentioned earlier, there are many things that can do wrong with your septic tanks. Some may be worse than others. No matter the problem, our technicians are more than qualified and equipped to handle them all. All you need to do is give us a call at Superior Septic Services. If you have concerns or queries, feel free to call to find the answers to these as well. Our customer service agents would be glad to assist. They are there to ease all the tensions you feel because your septic tank is acting up and needs to be repaired. Hence, the next time you find yourself in a pickle with your septic tanks and need more information on Mukilteo Septic Repair; don’t just go to the first company you find, choose Superior Septic Services. Our experts are here to help you so you will no longer need to worry about the inconveniences associated with a broken septic tank. Contact us at 425-905-2485.